The video below is mainly an interview with the reporter of the article who broke this story. 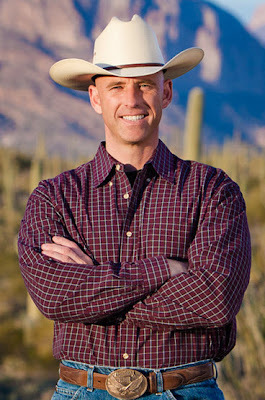 After admitting that he is in fact gay, Arizona GOP Sheriff Paul Babeu has denied any of the accusations of his for Mexican boyfriend "Jose". Jose was interviewed on CNN and he stands by his allegations of intimidation by Babeu and his lawyer. The Mexican man who says Pinal County Sheriff Paul Babeu threatened him with deportation if he divulged the news of their romantic involvement tells CNN's Miguel Marquez he stands by the allegation. The 34-year-old man, whose attorney asks that he be identified only as "Jose" because he "continues to live in fear," says his immigration status is current and he has a 10-year, US tourist visa that allows multiple-crossings of the border. "Jose" also says he was running a business in Arizona called Website Results LLC and claimed it's legal to run the business in the country, even on a tourist visa. On Saturday, Babeu resigned as campaign co-chair for presidential hopeful Mitt Romney and revealed that he is gay, but he denies "Jose's" allegations. Watch the CNN story below.